Ecommerce can be a great way for budding entrepreneurs to start making money online. This is a cost effective way to turn a website into a profitable business. To help you make the most of your business opportunity may need to seek professional ecommerce SEO services, but at the very least, implement the ecommerce SEO tips we share. SEO stands for Search Engine Optimization. This is very important for any online business as these days the majority of customers use search engines to find the products and services they need. You cannot afford to ignore ecommerce SEO when setting up your online business. This will be one of the most important tools you have available to make sure your website is visible to customers. Why do I Need to Use Professional Ecommerce SEO Services? Ecommerce SEO is a complicated field. There are many technical aspects and in order to remain competitive you will need a lot of experience and an in-depth understanding of how search engines and websites work. If you are running an online business then it is unlikely you will have the time or resources to put towards setting up successful ecommerce SEO strategies in house. It can be much more cost effective for you to outsource this task. Using professional ecommerce SEO services will also make sure you are getting support from experienced professionals who know the very latest tactics and techniques. Using a professional ecommerce search engine optimization company will be an essential way for you to boost your business and stay ahead of your online competitors. When you are choosing the ordering and payment process for your website take the time to shop around. Make sure the platform you choose is scalable (so you can upgrade when you need to), easy for your customers to use and search engine friendly. Choosing the right shopping platform is an essential task when setting up your online business. A key way in which you can make your website more search engine friendly is choosing the best URLs. Search engines crawl through the URLs on your site when conducting keyword based searches. These URLs need to be streamlined and easy to read otherwise you could lose out on search engine ranking results. You need to check each page URL is as concise and relevant as possible. Many online business owners neglect to create unique tags for each single image on their website. Although this is time consuming it is very important when it comes to SEO. In many cases when carrying out product searches customers will be motivated to visit websites when they see an image of the item they are looking for. In order for your images to appear in image based search engine results they need to have ‘alt’ tags with relevant text descriptions. 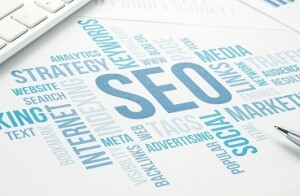 Stayed tuned for more ecommerce SEO tips here at ecommerceSEOmarketing.com. Or scope out our latest post featuring a comprehensive SEO checklist.